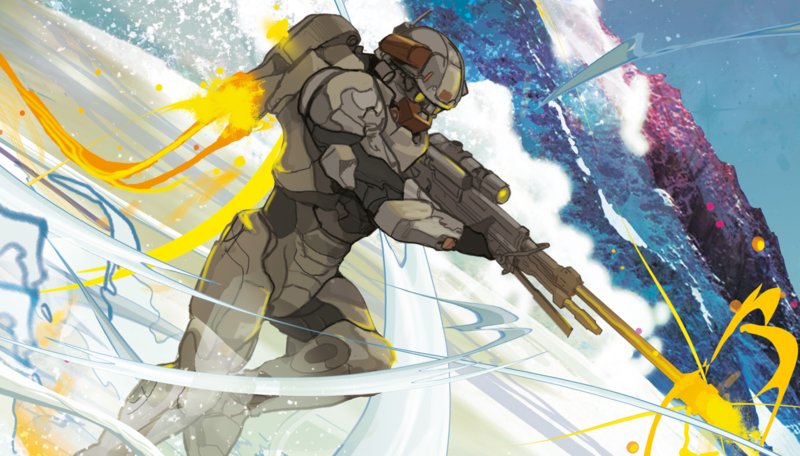 Last week, the final issue of Halo: Lone Wolf released and I am happy to say that it’s four-for-four with this one. Between Rise of Atriox, Collateral Damage, and now Lone Wolf, it’s clear that 343 has found their feet with telling Halo stories in this medium; scaling things down to focus on intimate character dramas while also providing consistently strong art. Let’s not waste any time and dive into Linda’s final confrontation with Doctor Chen… At the end of the previous issue, Chen managed to temporarily incapacitate Linda, telling her that he knows why she was sent and it wasn’t to rescue them. He offers her the chance to join him in “building a new foundation,” without the UNSC… or they all die. Linda insists that the Covenant cannot get their hands on the AI; the only AI that contains the full wealth of knowledge of human history, revealed to be Gabriela from the upcoming Halo: Outpost Discovery. 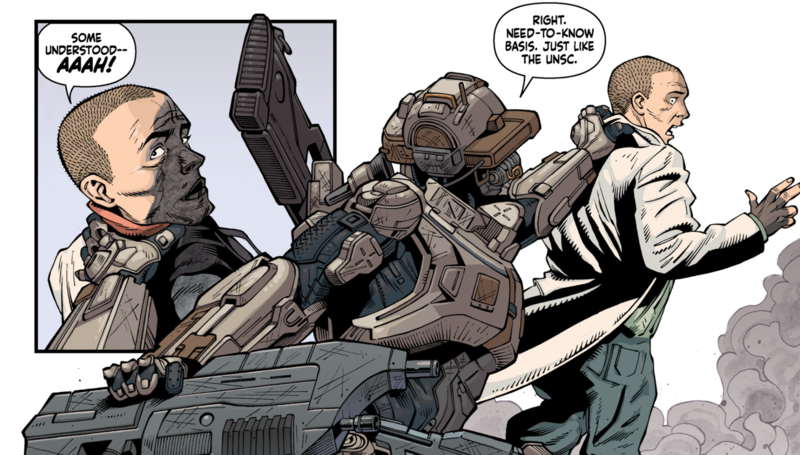 Chen retorts – as two turrets (which you might recognise from Halo: Reach) are aimed at her – that the UNSC can’t either because they no longer represent humanity’s best interests. The fourth and final issue picks up immediately from that moment. The turrets open fire on Linda, distracting her and giving Chen the opportunity to retrieve both Gabriela and Athos from the Promise of Dawn. During this ‘exchange,’ Linda reminds Chen that he has forgotten something. Chen has been so hell-bent on the AI and getting Linda out of the way that he has left his people to the Covenant, whereas Linda has been putting the people first from the get-go. Cutting to the settlement, Banshees open fire on the buildings and troops are deployed from the main ship. Their last remaining hope to get off-planet is the ‘new build ship,’ which they’re fighting to get to while holding the Covenant back. It’s worth mentioning that we’ve never really been given a sense of how many humans are part of this settlement; we’ve primarily followed Shel, Hala, and a couple of other recurring minor characters, which has given the impression that this must be a very small group. The art in this issue, however, depicts several dozen people. While this isn’t a particularly important detail (whether it’s ten or a hundred people, the mission is still the same), it is something that struck me as I read through this issue. Picking up with Shel and Davison, as they enter a cave, they come across a bomb (which you might recognise from Halo 3, though slightly scaled down) which they plan to take to the back escape route. At this point, Hala (Shel’s implied daughter) appears with an assault rifle aimed at her, saying that Chen was right – she can’t be trusted. Shel orders Davison to set the bomb up while she deals with Hala, disarming her as she fires a warning shot (which grazes Hala’s side). 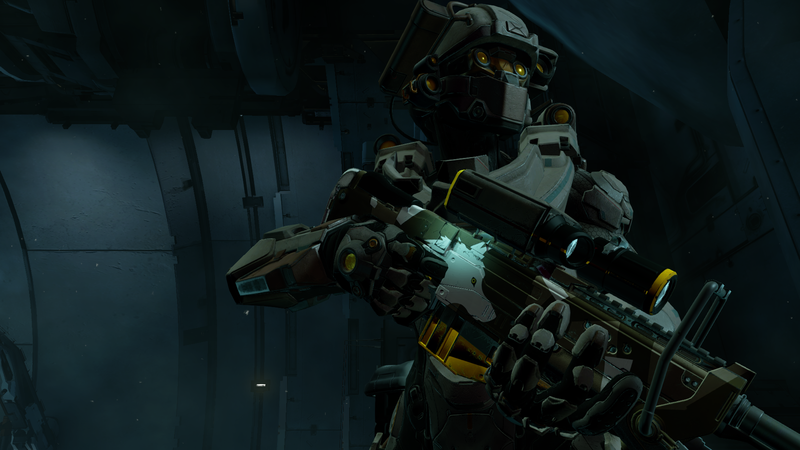 Before their conflict can escalate further, the Covenant’s ground forces arrive. Back to Linda and Chen, she tells him to give his people a choice – unless that part of his rhetoric is a lie as well. Linda says that she might yet be able to help them, but she can’t leave the AI. Chen responds by saying that she’s “Just following orders,” that she isn’t even human; the UNSC don’t deserve what the AI holds. Linda asks how he can possibly share the AI’s secrets with humanity if he lets his people die. 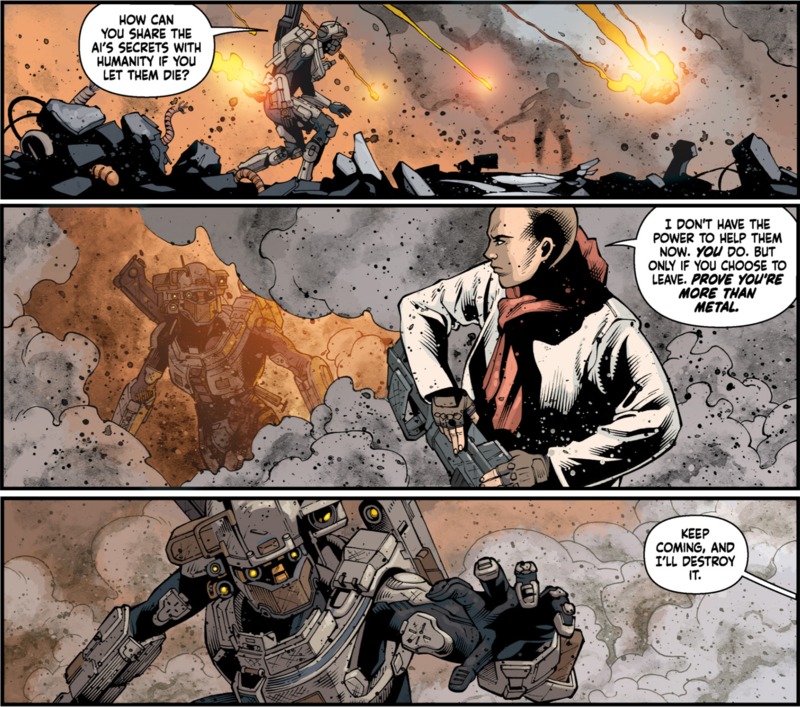 The art for these panels pointedly depicts the area around them in ruins from the turrets firing, Chen’s figure silhouetted in the fire and smoke as Linda gets closer to him. At this point, Chen is powerless. This much is visually exemplified by him opening fire on Linda with an assault rifle, only for her energy shields to take the hit. There’s a recurring problem in a lot of visual media where shielding is ignored either for dramatic effect or because budgets aren’t too friendly with how a fight might canonically play out (the cinematics for Spartan Ops in Halo 4 being a good example of the latter), so it’s welcome to see them used to visually reinforce Linda as something of an unstoppable force in this scene. Linda calls Chen’s bluff when he threatens to destroy the AI, pointing out that he trapped his people on this world for a year to get it and put his personal mission before their lives. While Chen denies this, Linda points out that he could have saved his people hours ago; he chose, instead, to lure her away. In an even more cowardly move, Chen’s hand reaches towards the AI housing unit as if to throw it off the side of the mountain, but Linda intercepts it from his pocket. An explosion in the distance makes it clear that they’re too late. The defeated Chen reveals that the real NAV unit is actually hidden in the new build ship, where the settlers will make their final stand and die waiting for him. Throughout each issue of this series, we have been shown the briefest flash of memory from Linda’s past – of her mother’s hands in her hair. Here, we see that memory coalesces. Linda’s mother promises that when she thinks she’s alone, she won’t be – no matter what happens. And it’s true, in the cruellest possible way. That memory has stayed with Linda and we discover that this is what drives her actions, especially after the fall of Reach – something I covered in more depth in the previous issue’s review. This is the comic’s final ‘statement’ on who Linda is, who she’s become. She declares that she will not abandon the survivors, no matter what. Linda says that she should kill him, she has been ordered to do as much, but his people are her mission now. 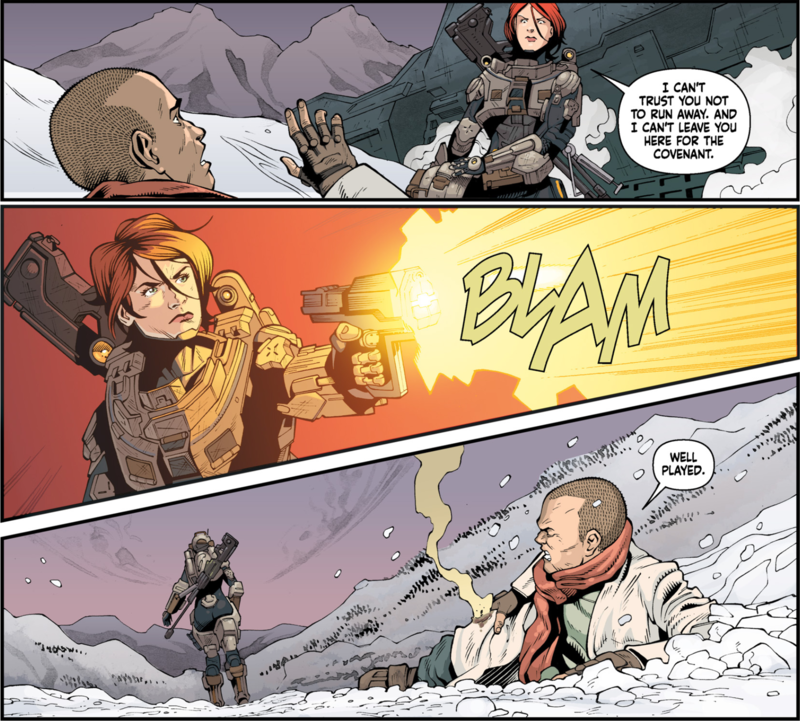 She figures that a large enough avalanche could take out the Covenant forces, but would also put the survivors at risk because comms are still down so she can’t warn them. Athos appears and states that they can warn them because Chen was the one who blocked the comms in the first place, which Chen confirms – better yet, he can use the Promise of Dawn’s auto destruct to cause the avalanche. Facing up to his responsibility in all this, Chen asks Linda to allow him to do this. This is his choice. Chen, of course, has proven to be less-than-trustworthy, so she ensures that this is indeed his course of action. Meanwhile, the Covenant are a hill charge away from the new build ship. Hala demands that they wait for Chen as Shel orders everyone to fall back to the vessel, hoping that Chen left something to get it off the ground. Davison notices that Shel has been hit, and her following dialogue seems like it might be an error? She states that “Elfy’s gun went off,” referencing the scrap earlier where Hala was disarmed. There’s no character called ‘Elfy’ in this series, so I can only assume this was either an earlier placeholder name or just an oversight. Supposedly, this could be Hala’s surname, but at no point in any of the issues has she been referenced (especially by Shel) in that way; likewise, Elfy is a first name typically shortened from Elfriede in Germany, Austria, and Switzerland (it was, in fact, my grandmother’s name). So this is a moment that I can’t help but raise my brow at. …and then detonates the ship. I like this moment because it doesn’t redeem Chen, redemption is a long and difficult road; no, the point of this is to say that there is always a good choice left to be made. 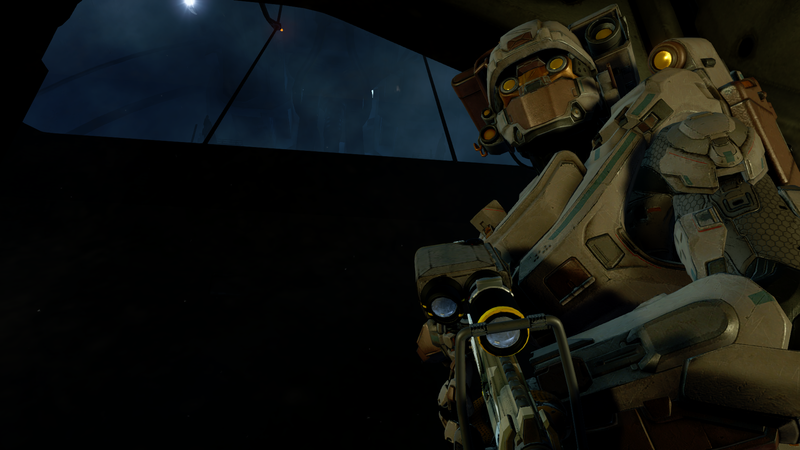 Back with the UNSC, the ONI Commander berates Linda. She says that, had Chen survived, she could have (and did) jeopardise humanity. Calling on Athos to report, the AI declares that he once thought Spartans to be cold and completely mission-focused, but he has learned that Linda is more than that. She’s independent and nuanced, completing the mission while saving everyone and recovering the AI that they had only previously suspected to still be intact. Following the last few issues where the two of them bantered about lodging complaints against each other, he concludes by saying he has no complaints about her performance. The ONI Commander says that they’ll chalk this up to the ends justifying the means as Linda hands over Gabriela, who will be shipped off to Outpost Discovery on Earth (with Spartans Hazel and Owen) as its caretaker because ONI recognises that her knowledge is too important not to be shared. Lone Wolf’s final panel is of humans who have not only survived the war, but won it. People who have the chance to live again. …with the fall of Reach. Now, there’s been some criticism of this ending which I can only characterise as being very silly because of how Lone Wolf ties into Halo: Outpost Discovery. I find myself wondering whether I’ve woken up in some parallel universe where people are just realising that Halo is an expansive, interconnected universe? Lone Wolf is, first and foremost, a character story about Linda. Not Outpost Discovery. I can say that with confidence because, y’know, I’ve read it, and it took several thousand words across two articles to even mention the idea that this might tie into Outpost Discovery with “The AI” that was the MacGuffin of this series. 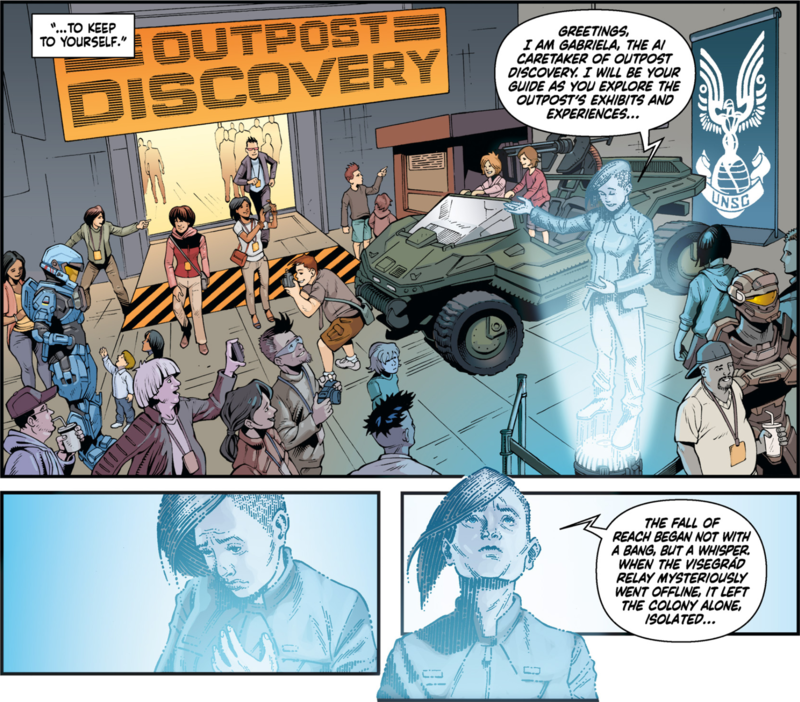 This wasn’t explicitly confirmed until the third issue (out of four), where Gabriela is mentioned by name, with Outpost Discovery taking up the last panel at the end of the comic. That’s it. This was a win-win situation. 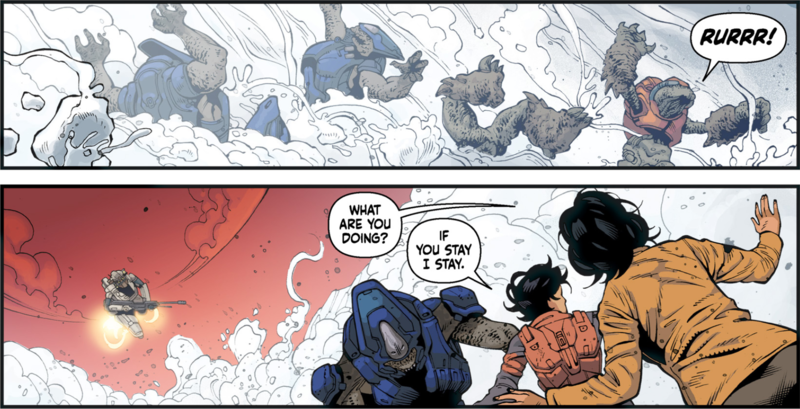 Lone Wolf gave us a complete story that explored the nuances of Linda’s character, something that was long overdue because she is the one we’ve had the least exploration and development for out of Blue Team. 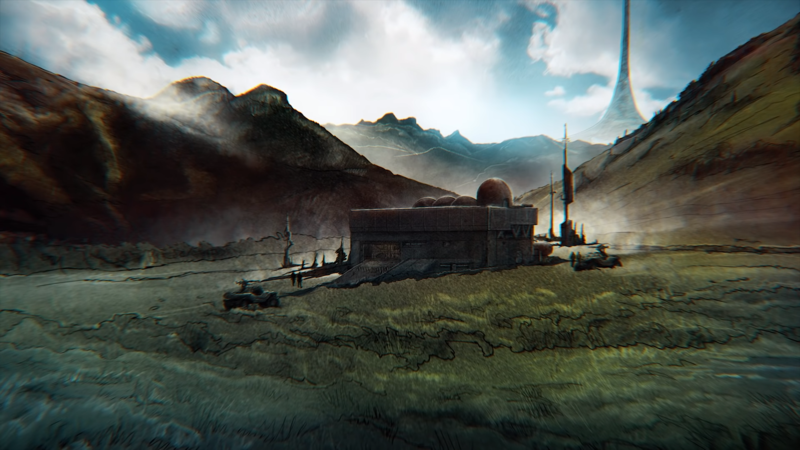 It was convenient for the story that they were afforded the opportunity to tie it into Halo: Outpost Discovery, which is treated as an in-universe event. This is how tie-in media… works? Frankly, I think this is a totally unearned cynicism. 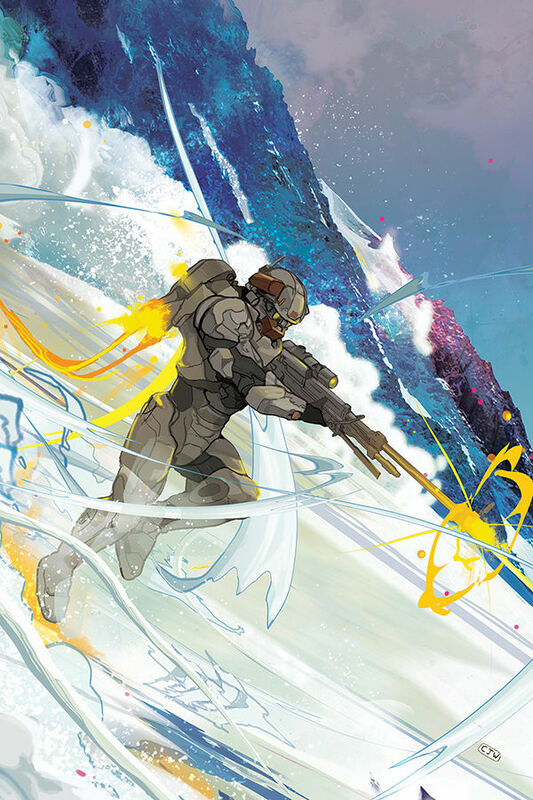 343, from their very inception, have been dedicated to telling interconnected stories. That connectivity is a significant part of what defines their approach to storytelling. Remove the context of knowing that Outpost Discovery is an upcoming event and this is still a thematically appropriate conclusion, linking back to Linda’s statement that they “fought for each other” on Reach. 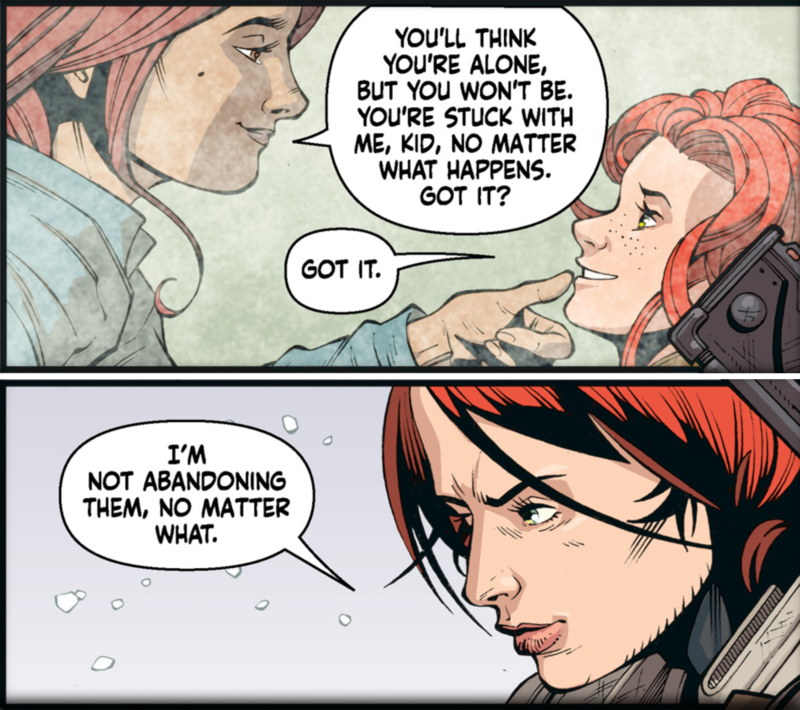 Lone Wolf, in some ways, is a spiritual sequel to that story (which is the note this issue concludes on) and provides Linda with exactly the kind of victory that exemplifies her priorities as a Spartan – the things she fights for beyond her ties to Blue Team. Some people simply can’t be pleased, but this takeaway from the ending is frankly rather ludicrous to me. Is that to say that the ending to Lone Wolf is perfect? Certainly not. While I like that it ends with Outpost Discovery, I think it was a mistake to shift attention away from the survivors that Linda fought for. These people have had no idea what’s been going on in the galaxy following the fall of Reach, even believing – until Linda showed up – that they were the last of humanity. As such, I think that the final panel should have depicted Shel, Hala, Davison, and the other survivors at Outpost Discovery where they step into this new world alongside families who are able to live normal everyday lives. Something that lingers on what Linda fought to save, rather than how she did it (as that’s already explicitly codified by the text), would’ve been a more appropriate conclusion; similar, in a sense, to the ending of Halo: Nightfall. Likewise, if there’s one other criticism I would level at this series, it’s that we didn’t see enough of what made Chen click. This is an area where I think we are told a bit more than we’re shown. This could have been remedied with a few additional pages that flashed back to the fall of Reach where the Promise of Dawn fled and arrived at Sephune III, something that gives Chen more of a contemplative moment of what led him to this point, but I am (of course) not in a position to say how feasible that might have been to do. None of these things are particularly damaging to the story; as it is, the scope and scale of this narrative is very well-contained within four issues. There was just a little bit more that could’ve served this story better. To bring this to a close, Linda has finally got her due. Halo: Lone Wolf is the first story, in more than seventeen years, to ever exclusively focus on her. 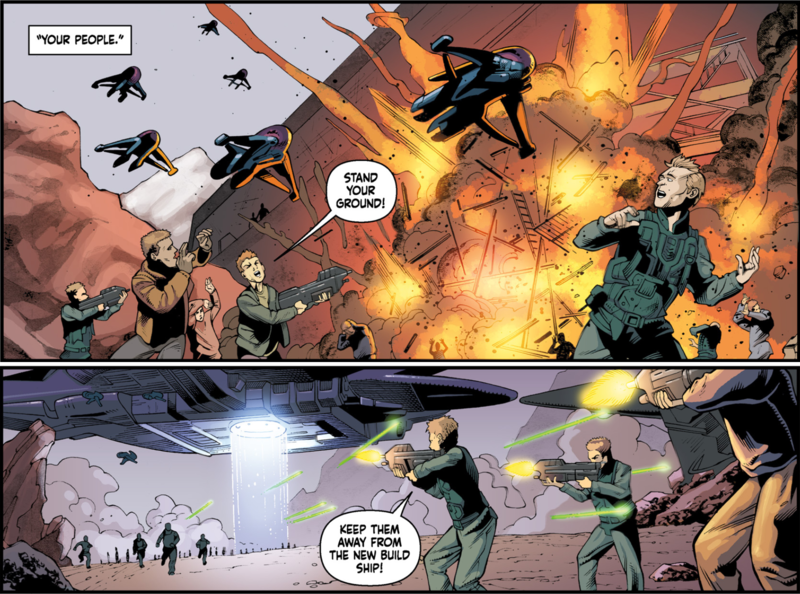 Blue Team has typically been together as a unit, and Linda is a far stronger, more rounded character for this comic series existing. Anne Toole has delivered a truly marvellous script that has been beautifully realised by Kieran McKeown (pencils), JL Straw (inks), Dan Jackson (colours), and everyone else involved in the creative process; it has delivered, above all, consistent quality with each issue. Now that the series is complete, I can definitively say that this gets a huge recommendation from me – especially if you, like me, have been waiting to see a deeper exploration of the original ‘Lone Wolf’ of the Spartans. Still to come in terms of Halo media is Halo: Oblivion from Troy Denning on September 24th (a sequel to last year’s Halo: Silent Storm) and Halo: Meridian Divide from Cassandra Clarke on October 1st (a sequel to Halo: Battle Born, which released at the start of this year). Of course, we will most likely see more of Halo Infinite at E3 this year, and there’s the PC release of The Master Chief Collection to look forward to as well. Until then, see you in the methane moshpit! You can purchase Lone Wolf #4 on Dark Horse’s site here. It’s also available on Amazon for your Kindle (UK | US), and a complete hardcover edition will be released June 25th 2019.